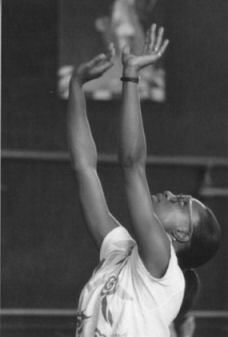 MICHELE SIMMONS 1980 , 81, 82, 84, 85 ,86, 92 Former soloist with the the Alvin Ailey and Donal McKayle companies; danced in several films and clips directed by Lester Wilson and by Michael Peters ("Thé Wiz", "Thriller"); created several choreographies in the United States and Japan; guest teacher in some of the most prestigeous workshops. Created dances for: "Portes Ouvertes" in 1982, "On the Move" in 1986 and "Moving Pictures-Dancing Times" in 1992; created "Jazzed" for Stepping Out in 1993..
BONNIE HOMSEY-ODA 1980 & 1996 Former dancer and soloist for the Martha Graham Company. JOAN WULFSON 1981 Professor at the 'Actor's Studio in New York and Peter Goss Studio in Paris; taught throughout the world including the Feldenkreis technique. Choreographer specialized in musicales and directing commercials for Philips, Grundig, Opel; fashion shows; created dances for the "Portes Ouvertes" show in 1982. Modern dance; former dancer in the Peter Goss and Pina Bausch companies. KAMALA CESAR 1981 Indian dance; several styles. Presentet her solo work in India and the United States; first workshop in Europe. NANA GLEASON 1981, 82, 85 Tap dance; performed some very non conventional solos in Jazzdance; toured throughout the world with them. African dance; director of the Koteba Ensemble (African style dances). Creator of an "African Musical "- style with huge succes in the french speaking part of the world. 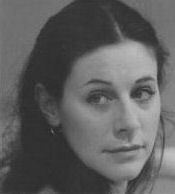 Former dancer with Martha Graham company; professor at the Het National Ballet school in Amsterdam; created dances for "Portes Ouvertes" show in 1982. 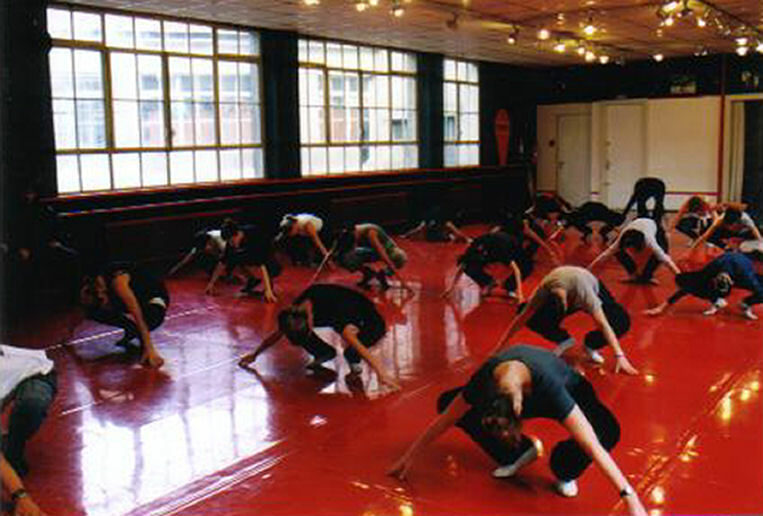 HARRIS MANDAFOUNIS 1983, 87 Modern dance; former dancer with the Peter Goss company; founder and choreographer for the Athens Modern Dance company; visiting professor at the Rudra-Béjart in Lausanne. 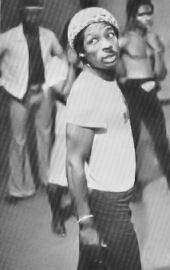 Jazz teacher at the Rosella Hightower school in Cannes; guest teacher in some of the most famous schools throughout the world; created dances for "10 ans déjà" in 1984. Modern dance Martha Graham technique; director of the Groupe Chorégraphique d'Orléans. BENEDITO P. PEREIRA 1984 Brazilan dances; internationally acclaimed teacher. Musicals; choreographer of many dance numbers and staging for well known stars in England and France. ARTHUR WILKINS 1985 "Ethnic jazz" teacher with a widely spread reputation. BENJAMIN FELIKSDAL 1986 Jazz dance; director of a large Musical school in the Netherlands. Traditional jazz dance; teacher at Steps Studios in New York; danced in several films. African dance; former director of Mudra Africa in Senegal; guest teacher in the most prestigeous European workshops. Tap dance teacher in Vienna (Austria) and director of a company in Germany; created dances for "Destination Dance !" in 1988. All jazz styles: Lindy Hop, Gospel, Hip Hop, Street dance, Funk, etc. ; teacher in Stuttgart; created dances for "Tendanses Jazz! " in 1990; for Stepping Out :"After Midnight" and "Clip" in 1990 and 1992. Tap dance; teacher in Vienna, Stuttgart, Switzerland and Rio where he directs his own Company; author of many choreographies; did a great dance number for "Tendanses Jazz!" in 1990. Modern jazz; dancer dans in the Rehda and Peter Goss companies in Paris; teacher; first piece as a choreograher: "Oberdiessbach" for Stepping Out in 1991, was a tremendous succes, acclaimd by the press and the audience. PASCAL HULIN 1991 Tap dance; internationally known teacher. Teacher of jazz dance and barre-à-terre in some of the French National Conservatories and Dance Education schools; free lance dancer and choreographer. 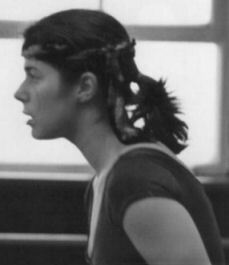 YVONNE STÄDLER 1986, 88, 90, 91 Modern dance Cunningham technique; former dancer with the Peter Goss company; dancer in the Athen's Modern Dance Company directed by Harris Mandafounis; teacher at the National Dance School of Athens; created dances for "Destination Dance!" in 1988 and "A propos", "Tendre Querelle" and "Messoyos" for Stepping Out in 1990 and 1991. 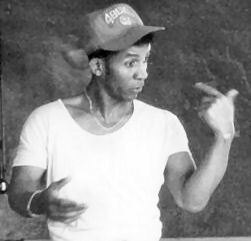 JEFFREY CARTER 1998, 99 Jazz dance technique; internationally known teacher; Summer Academy at Rosella Hightower's school in Cannes; teacher at the Oslo Opera.